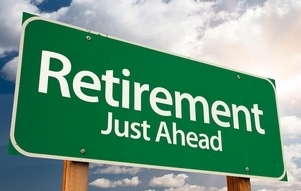 Is your software ready to retire? If it seems that your software is slowing down a bit, it may be time to think about retirement. But retirement isn’t always the answer. Many companies, like LabVantage, never “retire” a solution, but instead “recharge” it. Recharging a software solution is a lot like recharging a battery. Both require a lot of energy and care. LabVantage is unique and considers customer input a huge part of why the company has successfully been in existence for over 30 years. At the core of its success is its loyal customer base. LabVantage develops all software through a unique approach. A dedicated group of loyal customers advise the company’s product management team on how they are using their current product – what’s working and what’s not. They share their experiences amongst themselves and interact at the annual Customer Training and Education Conference (CTEC). Whether it’s a member of the executive team, a developer, a customer support specialist, a member of the sales team or the finance team, LabVantage keeps close to their customers through daily interactions. The company uses this customer feedback to make improvements (re-charge) to their solution. For example, customers were involved in the development of a new UX interface. Information from customers prompted further refinements which made the overall product looking modern while easing the transition to the new interface. Another way LabVantage cares for an aging product is to focus on “one” core product. That way, LabVantage can recharge and make changes to fit customer needs, whether it’s something external like the user interface or internal, like technical capabilities. LabVantage also recharges their solution by adapting it to meet the needs of the customer by industry vertical, company size or application. By keeping it simple, LabVantage’s focus is clear – focus on the customer and the product will focus (re-charge) itself. Wouldn’t it be nice if we all could be “re-charged” and not “retired”?